Are you in need of a quality and affordable air conditioning system? Conduct Air Conditioning is the answer. Friendly, affordable and efficient, Conduct Air Conditioning is your trusted local air conditioning contractor. Whether you need a new unit installed, or want your current one repaired, we have the knowledge and experience needed to get the job done. When it comes to air conditioning in Sydney, our professional service and quick response times set us apart from other contractors. We are there when you need us. With more than 30 years’ experience Conduct Air Conditioning is equipped to provide the best solution for both residential and commercial air conditioning requirements. Conduct Air Conditioning sources quality products directly from the manufacturer, so with no “middle man” we can offer you the highest quality solution at the most affordable price. We guarantee it! Trust Conduct Air Conditioning when it comes to quality air conditioning in Sydney. 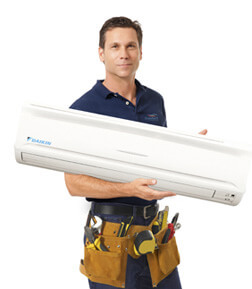 We sell and install reliable air conditioning systems for any type of property. We also service all major brands, including Samsung, Daikin and Fujitsu. We aim to help residential and commercial clients enjoy a more comfortable environment. A comfortable room temperature is crucial to maintaining the air quality inside a building. If temperatures are too hot or too cold, it can have a negative impact on both the physical and mental well-being of the occupants. A good air conditioning system is proven to improve focus and productivity, so make sure that you give us a call to ensure that your air conditioning unit in Sydney is well-maintained and functioning properly at all times. Our team can handle all your cooling needs. Our expertise in multiple brands and models allows us to provide custom climate control solutions. Our split and ducted air systems are designed to meet your property’s specific cooling requirements. We offer discounts to make our products and services more affordable. Check out our Specials page to find out how you can save on your next AC unit.